With The Young and the Restless Crimson Lights mug, fans of this hit daytime drama can drink just like their favorite stars. It was the place where Nick and Sharon's romance blossomed, and also where Nick married his next wife, Phyllis. Own a white Crimson Lights cup that holds up to 13 oz and features the Crimson Lights and Y&R logos, and keep those Young and the Restless memories with you forever. Been watching Y&amp;R for more years than I will admit ! I have wanted these for a long time, finally got the extra money and got 2 red and 2 white for my wife and I. They quickly became our favorite morning coffee cups !! Good quality cups, definitely worth the $$$ !!! OMG. I am so in love with my Crimson Lights Mug.. it’s exactly the same as on the show. I even went out and got those wooden stir sticks...now to be a writer on the show.. heheee! Thanks so much absolutely the perfect item! They look exactly like the ones on Y&amp;R. I bought them for my sister-in-law. She was ecstatic. So much fun! I felt like I was in the number one soap opera ("The Young And The Restless") for thirty years coffee shop hang out as I drink my morning coffee from my Crimson Lights mug. #justlikebeingonset! A GREAT addition to my mug collection. Loving this mug!! And they way they send it to you is phenomenal. Not only is it encased in bubble wrap, but two boxes makes sure your mug is in one piece. I LOVE this mug. It’s good quality made. I have my tea &amp; hot chocolate while watching Y &amp; R. It’s so much fun doing that, especially when the cast is at Crimson Lights. 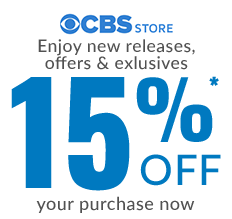 WAY TO GO CBS!!! I saw this online through Facebook and I just had to order it. Actually, I loved it so much, I even ordered one for my neighbour who is also a huge Y&amp;R fan. I also love the Y&amp;R logo on the back. I agree with the previous reviewer, I also wish it was larger than 13oz as I find it a bit small but still very happy with it. I would have happily paid a couple more dollars to have a bigger mug. The mug is good quality, packaged well and was shipped to me in 10 business days. That’s even with Christmas Day and New Years day being 2 of those 10 business days. Overall a great product and I’m thinking of ordering some more for family and friends who are also Y&amp;R fans. I love my Crimson Lights mug. I’ve been wanting one for a while. I plan on buying more later. Been wanting this since I saw it in the CBS store but really preferred white like on the show and was thrilled when it was recently added. I Found similar elsewhere but the reviews were 'meh' due to the quality of the wording coming off. Not with this one, I absolutely love it. Just wish it was a tad bigger. My wife and I love the Young and the Restless and the show every day to watch after work. 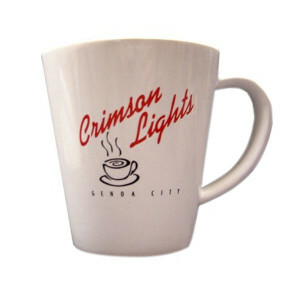 I purchase the Crimson Lights mug for my wife for Christmas. The mug looks great and well made. I would definitely recommend to others. So glad the original white mug is available! It's so nice to enjoy a cup of tea in my own Crimson Lights mug while watching the cast enjoy their coffee on The Young and The Restless. It is like being in that coffeehouse with them. Great gift to give fellows fans.